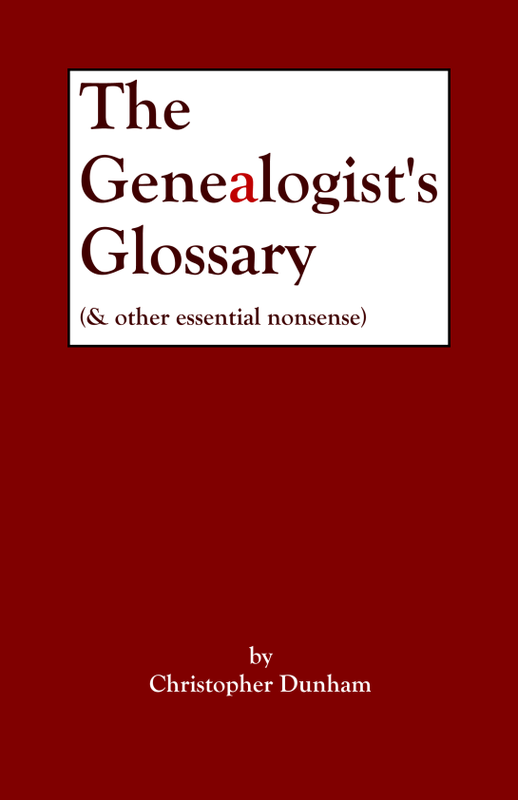 I am somewhat proud to announce that my first book — The Genealogist's Glossary (& other essential nonsense) — is now available at CafePress. A chart showing the relationship of unwitting ancestors to unworthy descendants. An account of one's ancestry drawn from years of meticulous research and hours of online theft. 9. The Mormons take out a restraining order against you. 10. "I didn't steal your identity. I borrowed it, and made a copy for my files." 10. "How should we misspell your last name?" 10. Respond to his message-board queries with snippets from Green Eggs and Ham. 9. Tell your children that abstracting wills cures acne. All proceeds from the sale of this book will go to the Christopher Dunham Relief Fund, which aims to wipe out the student-loan debt of one very special young man from Maine by the year 2028. A little bit of Ambrose Bierce -- or perhaps he's in your tree somewhere? 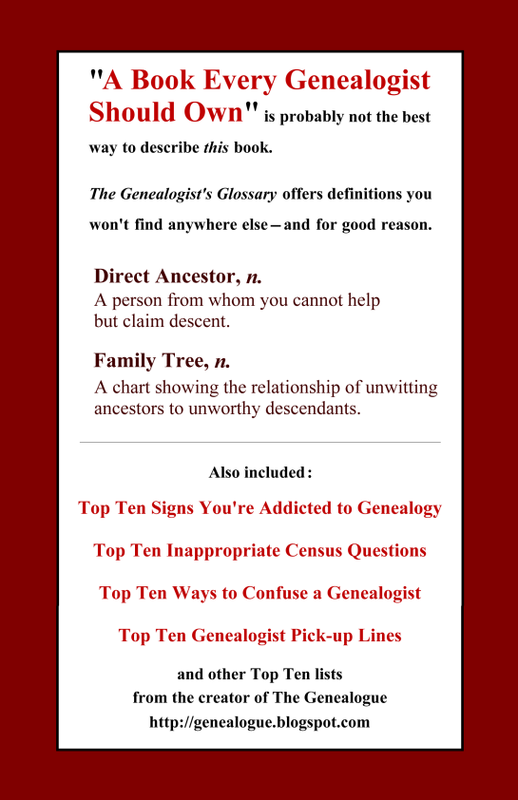 I considered calling it "The Genealogical Devil's Dictionary," but thought that might turn off some potential buyers.